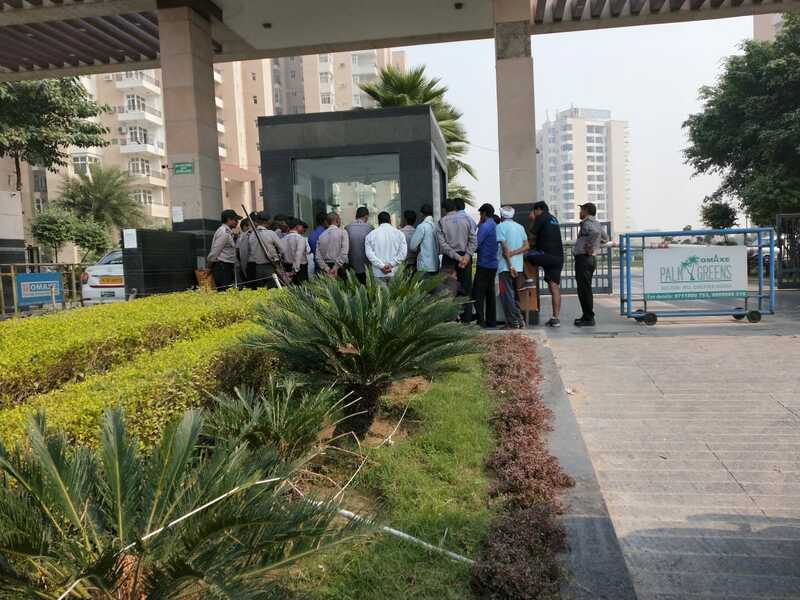 Greater Noida (31/10/18) : The Facility management team and large number of residents of Omaxe Palm Green, Society in Greater Noida have come to loggerheads after the builder allegedly made over 50% increment in the maintenance charges. The issue has now escalated to greater heights as the management has decided to not-pay the essential charges till receiving increased payment by the residents. After the residents refused to pay this increased amount, the Facility Plus (FP) management (the team which looks after the maintenance) didn’t pay the security, which inturn resulted in the strike by the later. Other residents also alleged that the management has further threatened to stop electricity bill payment to further pressurise the residents in paying the increased maintenance charge. It has also come to light that nearly 40% of the occupants in Palm Green are living in flats that haven’t received an NOC from the authority and hence do not pay the maintenance charges. Hence the facility that is used by all is paid unevenly by only a chunk of residents. Residents have expressed great anguish over the current situation and have demanded district authorities to intervene to maintain order in the society. There are 19 towers in Omaxe Palm green in which as much as 1300 flat units exist. As per an estimate around 70% of these flats remain occupied at the moment.